Heeft u een vraag voor Peaceful Resort? Peaceful Resort in Pra Ae strand, Koh Lanta is een populaire keuze onder reizigers. Het levendige stadscentrum is slechts 2.5 km verwijderd. Dankzij de praktische locatie liggen alle belangrijke trekpleisters in de buurt van het hotel. Bij het Peaceful Resort staan de excellente dienstverlening en superieure faciliteiten garant voor een onvergetelijk verblijf. Terwijl u verblijft in deze geweldige accommodatie, geniet u van faciliteiten als gratis wi-fi in alle kamers, ticket service, bagageopslag, wi-fi in openbare ruimtes, parkeerplaats. Het hotel heeft 18 prachtig ingerichte kamers voor gasten, elk met plasma tv, draadloos internet (gratis), airconditioning, bureau, balkon/terras. Het hotel biedt een uitstekende variëteit aan recreatieve faciliteiten, inclusief zwembad (buiten), zwembad (voor kinderen), tuin. 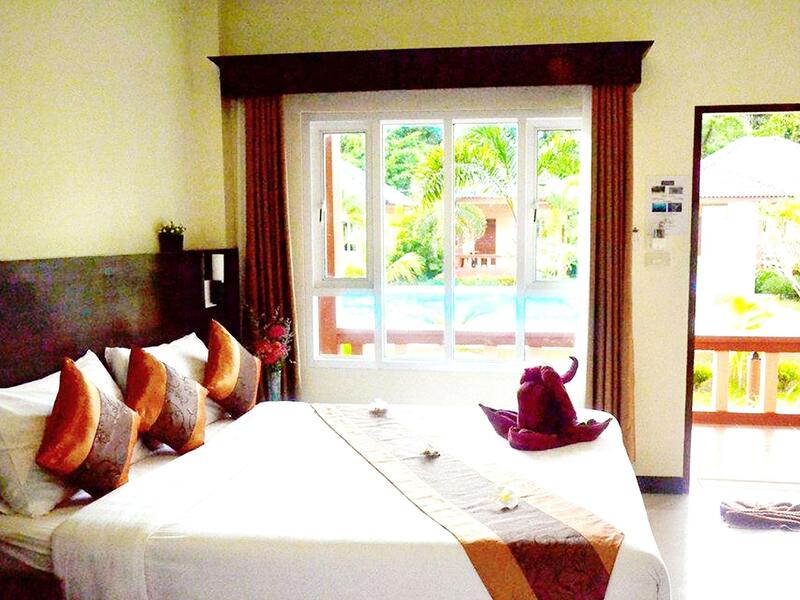 Het Peaceful Resort is een uitgelezen keuze als u een kwaliteitsaccommodatie zoekt in Koh Lanta. 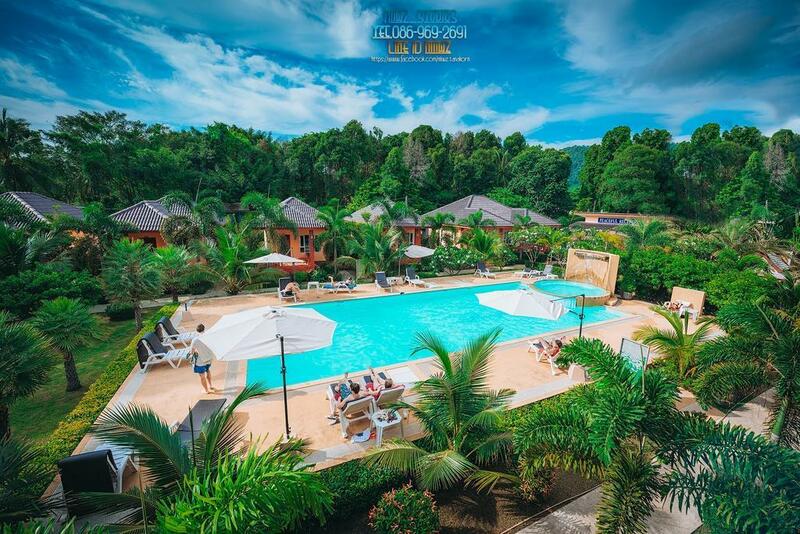 Houd er rekening mee dat gasten worden verzocht om bij de naastgelegen accommodatie op 47 Moo 3, Saladan, Koh Lanta, Krabi in te checken. Neem voor meer informatie contact met het hotel op. Een heerlijk plekje met schone kamers en een super zwembad! Dichtbij het strand, en met de scooter ben je overal zo. Fijn zwembad. Vriendelijk personeel. Grote schone kamers. Wel wat mieren maar die zitten in elk hotel op Koh Lanta. Geen restaurant en dus ook geen ontbijt. Kan wel overal aan het strand ontbijten op 10 tot 15 min loopafstand. 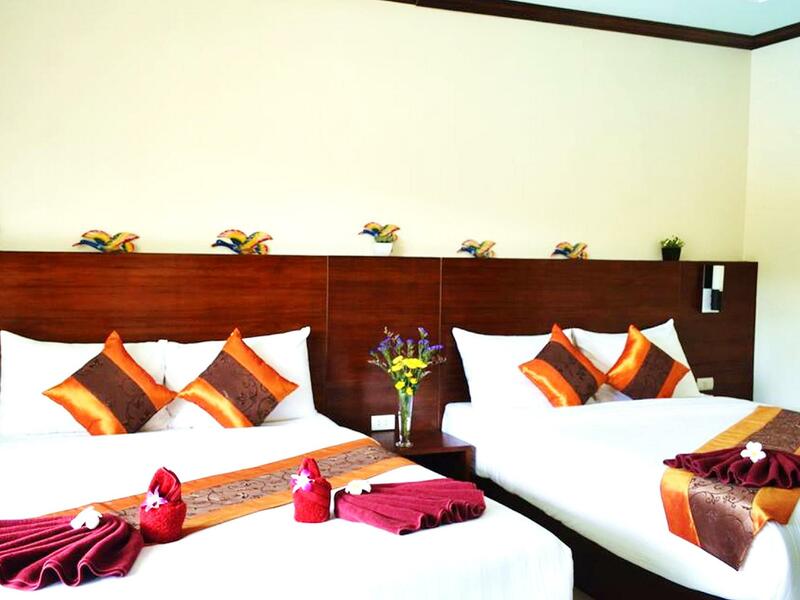 This small resort is operated by delightful, helpful and competent staff. The off-road setting is genuinely peaceful, the rooms are fine and the pool is delightful. It's about a five minute walk down a quiet lane to the beach and less than 10 minutes by vehicle to Saladan. Loved it! As always this resort lives by its name. Quiet, calm and relaxing. 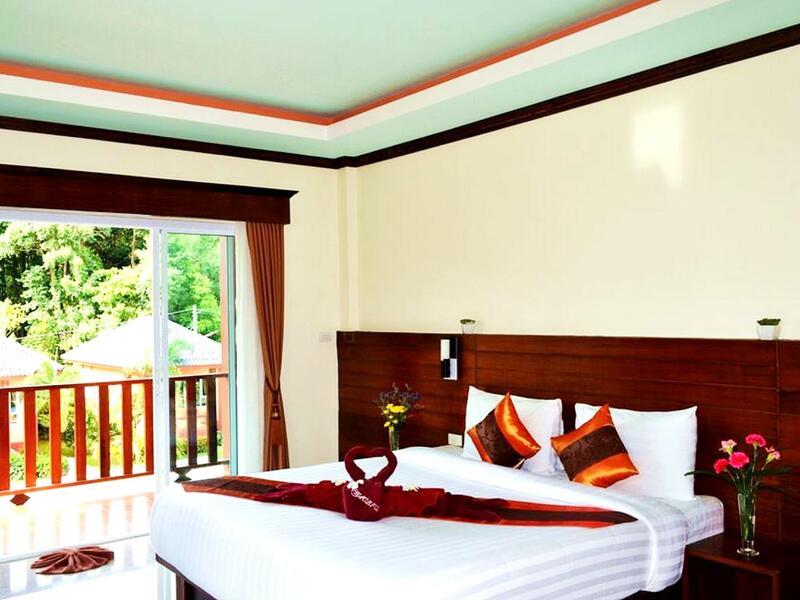 The rooms are spacious, large fridge, good balcony especially upstairs overlooking pool. Pool itself is great, short walk down quiet lane to best section of long beach in 3 mins, staff very helpful and cleaning ladies exceptional. Nothing is too much trouble. Several local restaurants close by on main road and beach . ‘Tiw Lay on the beach, uncle O’s on the road are great. Will return again on the next trip when we will see on site restaurant operational. 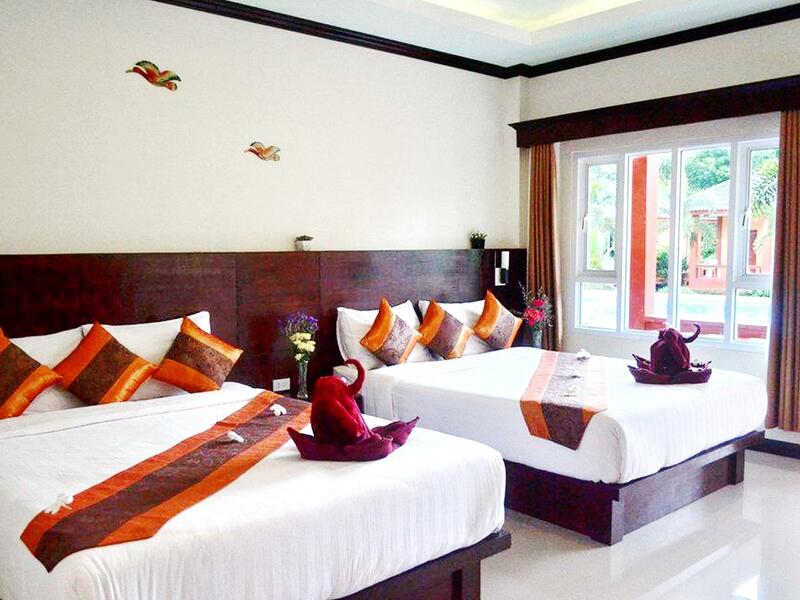 Peaceful Resort is situated 5 min. stroll from a great stretch of swimming beach in the middle of Long beach & is set in quiet grounds with a resident masseuse & a lovely, clean pool with sunbeds. The bungalows with a small balcony are very spacious & are equipped with a large fridge, a kettle & a toaster for those early morning wake up drinks & a slice! The aircons. also work very well, as does the water heater in the bathroom. We would highly recommend Peaceful for all types of travellers, as there is easy access to the beach & the main road for shops & restaurants. Great room, really spacious, everything you would need. Joint balcony with other rooms. Shower good and hot and big bathroom. Biggest and comfiest bed we’ve had on our travels. Pool is great and refreshing after hot day. 3mins walk to beautiful long beach, have to walk down alley, which is pitch black at night so scary if on your own! Would suggest getting lighting along here. Mini mart 5 mins away, staff kindly let us borrow moped free of charge to drive 10 mins away to the 7/11. Really helpful and friendly staff, assisted us booking our onwards travel to Krabi. Location is OK, 5 minutes to the beach and a few restaurants although everything is very spread out. Far enough away from the road which is good as there is lot's of construction happening. Some pretty good restaurants roadside apparently but you are on a dusty, noisy main road. The bungalows are nice although not peaceful at all if you have anyone above you. Scraping furniture seems to be a big thing here! We booked a twin room but had one big bed and some sort of chair bed. We were assured that all twin rooms were like this but we looked in a few rooms and they were twin? Not sure why they would lie? Decent local restaurant right next door. The resort is well named as it is the peaceful location in the world close to the sea and all accomodations needed. The people are really friendly and always at your disposition to help. I will be back with pleasure. I would highly recommend this hotel. We loved the room, location and pool. The staff were welcoming, friendly and always there to help. The restaurant on site was amazing and there was a family who chopped fresh fruit and hammocks on the way to the beach which was also useful. We were taken by tuk tuk to another hotel for breakfast which was fine, but we didn't rate the food there, hopefully when they have the breakfast area sorted there will be more variety. Thank you Peaceful. Peaceful resort was perfect for our stay in Koh Lanta! there are plenty of restaurants around which are still open in Green season, the pool was perfect and we had it to ourselves every time. Just a few minutes walk to the beach which was a lot nicer and cleaner than khlong dao when we were there. Restaurants were about 10-15 minutes walk. Room was super spacious and clean! refreshed with drinking water and toilet paper every day, even if you don't want your room cleaned they will leave it at your door. We couldn't have wished for better for our time in koh lanta, we extended our stay and wouldn't hesitate to recommend this spot - especially with green season rates! Staff are lovely, rooms are really clean, room service every day and with clean towels and fresh bottles of water. We ended extending another 2 nights as we loved the place 2 minute walk to the beach. We had a very relaxing stay here - booked for two nights and ended up staying 5. Staff were very helpful in booking onwards travel for us. Rooms are HUGE and include a fridge, couch and desk, and look out into the pool. It’s just a few minutes walk down a small path to the beach, or 10 minutes along the main road to a good selection of restaurants and bars. Welcomed as we arrived and given any info we needed. They rent scooter 200 bhat. Great pool that lights up at night. The rooms are big with nice bed and good a/c. Staff organized trip to Phuket airport, the only downside is there is not a lot of places to eat near here. The beach is around a 5 minute walk. Would for sure stay here again! Nice clean hotel with a 5 min walk to the beach. Lots of shops and places to eat pretty close. The staff were super friendly and the facilities seemed basically brand new. Bed was decent water flow was good and the balcony was nice. Great place to stay. 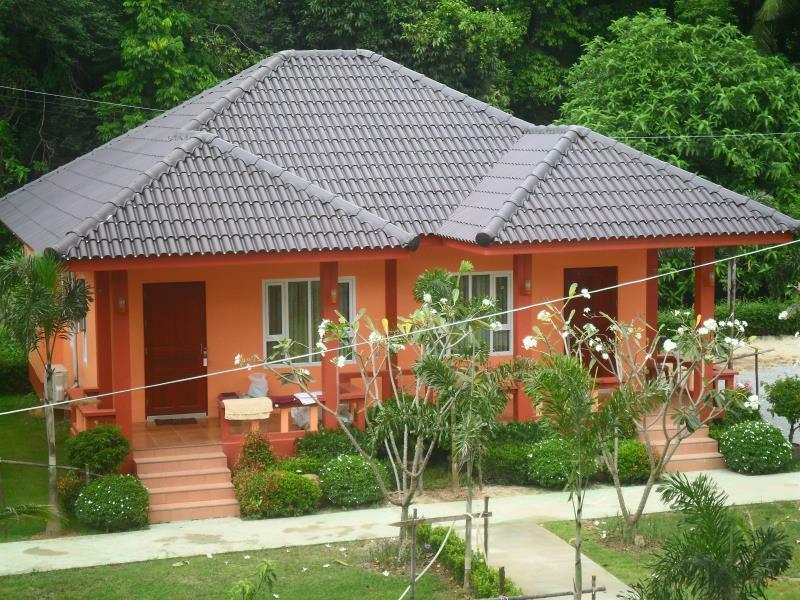 The staff was really friendly, upgraded us to a bungalow which was really spacious and clean. the swimming pool in nice and the beach is just about 200meters from Peaceful resort. It is a bit far from the ''center'' of Koh Lanta if we can call it like that! There is many restaurants around the hotel and by the beach (+ we realized when leaving that you can have breakfast just next door to the hotel) The garden is well maintained and you can have a massage on site, with the birds for background music. I would highly recommend to do a massage with Mister Doppadol.. this is pure bliss. I really don't want to tell you anything about Peaceful because if I do it will be full the next time we come here and we will come to Peaceful again. LOL. Peaceful may not be accurate, as I found it to be very noisy (families with screaming kids, construction, slamming doors and loud music late at night). That being said, I enjoyed my stay here. Pros: location -- it's less than 5 mins to walk to Long Beach. You can walk, or take a tuk tuk to many restaurants, shops and bars. The pool is very nice. The staff is friendly and helpful. My room was large and clean. Very good value for money. Cons: the water pressure in my bathroom was weak, the lighting in my bathroom was very dim, the shower head does not stay up. The safe in my room did not work. The WiFi was not very solid. Overall, I enjoyed Peaceful Resort. I would recommend to others and stay again. Koh Lanta is a really cool place. If you visit, go train at Lanta Muay Thai! First of all Koh Lanta is the best island getaway and chill beach. This hotel takes it over the top. It's run by a very nice and accommodating family who go out of their way to help. The pool is great and it's set back from the road, surrounded by green and palm trees. It's only a short walk down a green path to the beach. Great place to stay and highly reccomend!